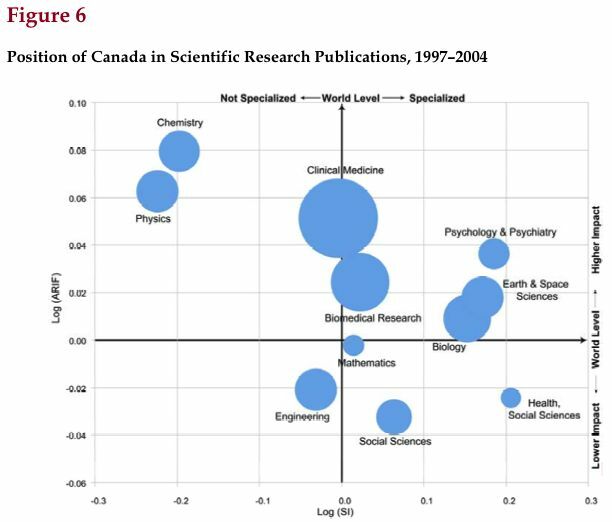 The Council of Canadian Academies released their first report, The State of Science & Technology in Canada, on September 12, 2006. They have gathered together a great deal of information; the complete report is 228 pages long. The committee notes that the S&T capacity of the government of Canada is a valuable national asset, since the government is often the only feasible provider of many important services such as standards setting, national statistical services, public goods such as the meteorological service and the geological survey, science in support of regulatory functions, and maintenance of long series of observational data (e.g., to support climate science). Survey respondents gave high ratings to three major federal institutions: the infectious diseases laboratories, National Research Council Institutes and other federal labs, and Statistics Canada.